How do you feel about the current business environment for eDiscovery? That is a question many in the legal technology ecosystem are asking as we move into the second half of 2018 as the answer informs their approach to staffing, investing, and execution of electronic discovery. Quarterly the eDiscovery Business Confidence survey seeks to answer this question and then share the aggregate results with the eDiscovery ecosystem. 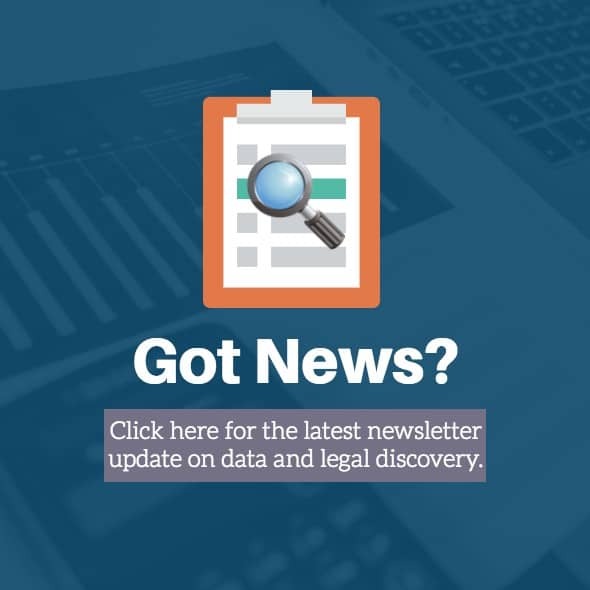 With this Five Great Reads newsletter special request, I would like to ask you, if you have not already, to please take about one minute of your time to take the survey as it will help all eDiscovery professionals better understand the current business climate. The anonymized survey has been administered ten times in the last two and a half years with 1042 responses from eDiscovery practitioners, educators, analysts, and commentators. Upon completion of the survey, I will send you a copy of the results as well as the aggregate results of all surveys. Many have found these results beneficial for their planning, presentations, writings, and research on the business of eDiscovery.